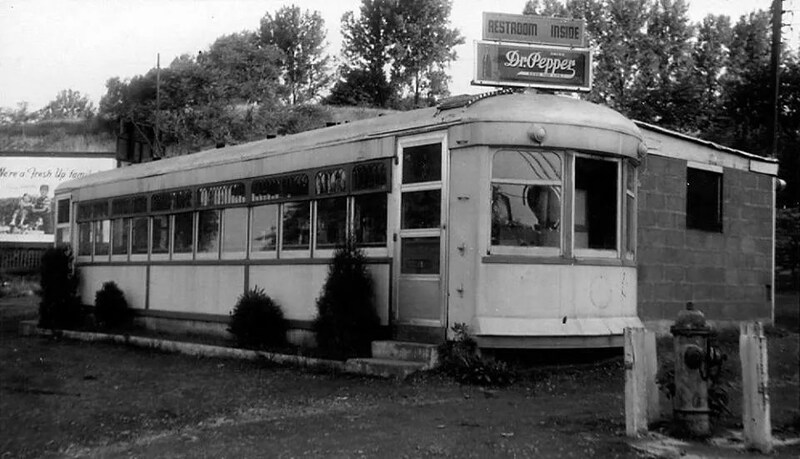 This entry was posted in DeRaffele, Diners / roadside related, Diners/ restaurants and tagged American Dream Diner, Brill, By Pass DIner, ByPass DIner, Harrisburg, history, PA, Pennsylvania, photo, restaurant, trolley by Spencer Stewart. Bookmark the permalink. Well, Historical Society of Pennsylvania has a lot of the Brill records up to 1930, though I don’t know if that includes their diner ops–most of the things HSP mentions are from the rail side. Around 1926 Brill was acquired by American Car & Foundry, and their historical collection is now part of the John W. Barriger III National Railroad Library at University of Missouri – St. Louis. Also, you might try throwing a Hail Mary by contacting ACF Industries directly, and asking their HQ if they can refer you to an in-house historian or expert they’ve worked with who can help you. Also, you might look into great-great-great-granddaughter of the company founder Debra Brill’s “History of the J. G. Brill Company,” published by Indiana University Press.